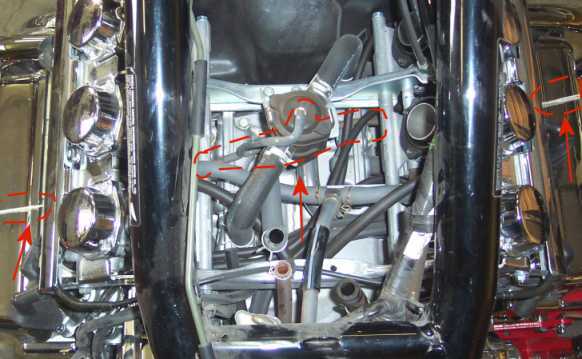 As mentioned by Bobbo on 8/27/2002 in a post entitled Changing those pesky vacuum lines , it can prove to be a real nuisance to change vacuum hoses on our Valks. Following are a few steps that may ease the pain. 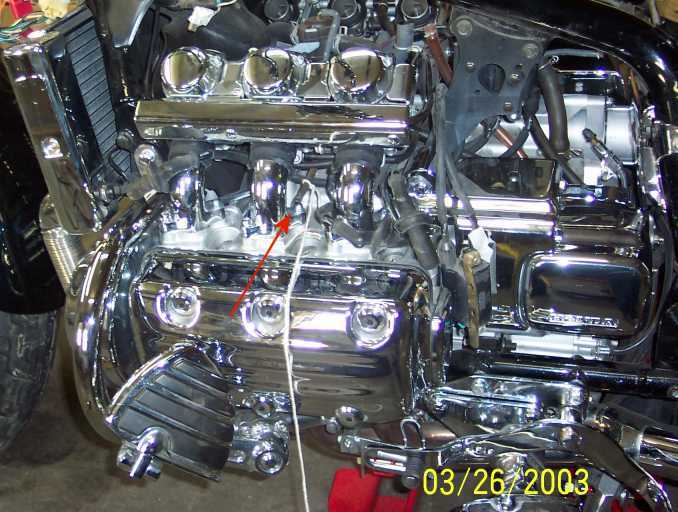 If you remove the air box, you will see that 3 vent hoses are connected to the intake manifolds. Two of these, which are connected to carbs 3 and 4, are fastened via a T Connector (and another small hose) to the pair valve. You can see the pair valve with the T connector, etc. in the middle of the picture. 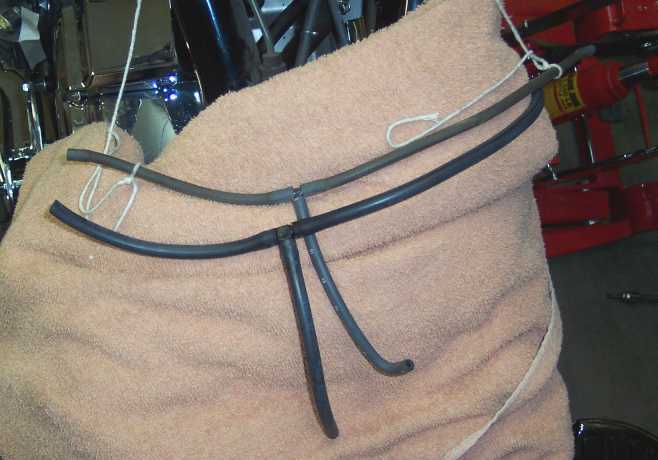 The idea is to disconnect the hoses from carbs 3 and 4, and to tie a string to each of these. You can see these strings on each side of the picture. Disconnect the hose (in the middle) from the pair valve and pull everything upwards. 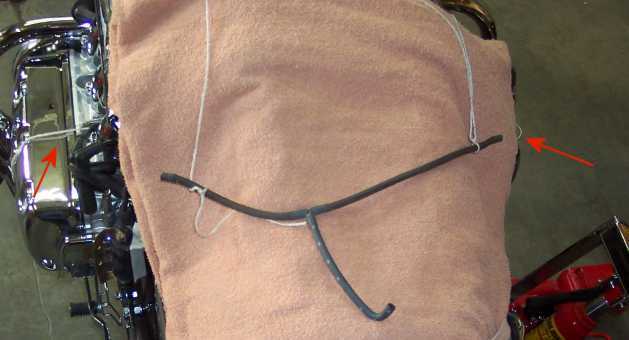 These strings will enable you to pull the new hoses back into the appropriate places. The third vent hose, which is used for the petcock valve under the fuel tank, is connected to carb 6. The vents on carbs 1, 2 and 5 are blocked off by rubber vent caps . Measure the hoses, cut new hoses of the same length, and connect these to a T fitting (new or existing one). Untie the strings from the old hoses, and tie them to the end of the new hoses. 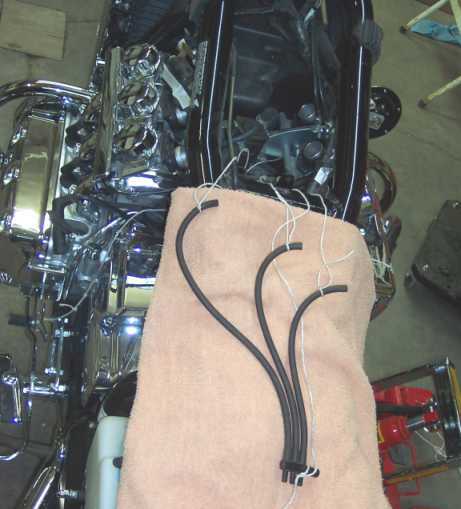 Carefully pull the strings to snake the new hoses back to carbs 3 and 4. Connect the new hoses to carbs 3 and 4, and to the pair valve. Note: Carb 6 is easy to do. Use a string in the same fashion as done above for the pair valve vents.. Since the air box was already removed, I decided to also change the small hoses that are connected to the carburetors (on the same side as the enrichment valves). Hats Off to Þrúðr For patiently answering my numerous questions on the subject.